Wind tunnel testing is another experiment, like CFD, to help validate aerodynamic changes. The reason for writing this is to help clarify some of the misconceptions on wind tunnel testing. First, lets start with a little history of wind tunnels…because everybody loves history. 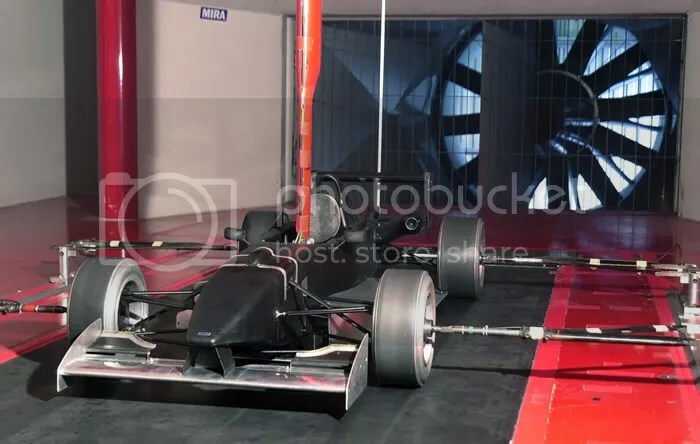 One big misconceptions of wind tunnels are they reproduce what the car will see on the road or track. This is false because wind tunnels only simulates the conditions on the road or track. Simulations inherently deviate from reality and it is often are hard to quantify all the sources of the error. What do wind tunnels idealize? -temperature change, wind boundary layer, wakes of other vehicle, ect. 6. Wheel lift – wheel lift is not usually measured in a tunnel. Wind tunnel data is precise but saddled with inaccuracy of simulation; road data is free from they inaccuracy but are not precisely measured. Anyone who will quote you extremely accurate numbers are most likely trying to sell you something. This is obvious by just reading above. That is it for tonight on wind tunnels, but next will be information on scaled wind tunnel testing. That will get into Reynolds Number effects and Reynolds Scaling. 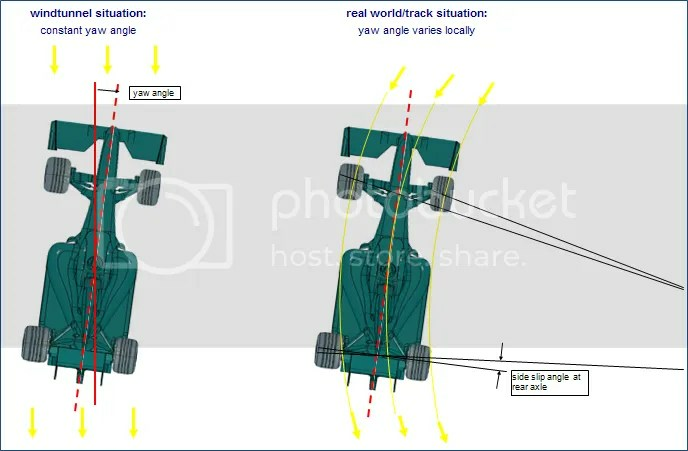 This entry was posted in Aerodynamics on March 13, 2013 by paulwlucas.